Are you looking for additional storage space? KOUSI Portable Wardrobe will meet all your needs. Features a large open space, leaving room for clothes to breathe. Made from steel and resin, it is light in weight and easy to clean. Not to mention, unlike fabric wardrobes, it won’t degrade over time or collapse, nor will it get moldy or otherwise damaged by humidity, keeping your clothes fresh. Color: – White Dimensions for each cube: – 14″(W) x 18″(D) x 14″(H) / 35cm(W) x 45cm(D) x 35cm(H) Dimensions for the whole unit(connectors included): – 58″(W) x 19″(D) x 71″(H) / 148cm(W) x 47cm(D) x 185cm(H) Dimensions for the package: – 19″ x 15″ x 10″ / 47cm x 38cm x 26cm Shipping weight: – 36.6lbs / 16.6kgs Material type: – Resin sheet panels – Steel frame – ABS connectors Components: – Rectangular Panels (14″” x 18″ / 35cm x 45cm): 36 pcs – Square Panels (14″” x 14″ / 35cm x 35cm): 20 pcs – Square Doors (14″ x 14″ / 35cm x 35cm): 20 pcs – Weight-bearing panels (14″” x 18″ / 35cm x 45cm): 5 pcs – Hanging Rail: 4 pcS – ABS connectors: 60 pcs – Hammer: 1 pc – Installation manual: 1 pc Announcements: – Please ask for the necessary quantity of each components if you plan to build a custom design. – Please stick each cube all the way inward to make it firm when installing. – We can only ship to physical addresses, we can not ship to P.O. Boxes. – Can not combine shipping. No international shipping. – The purchased item will be shipped within 2 business days. – Normally your purchased item will reach most places in the States within 2-7 working days. 【SPACIOUS STORAGE CLOSET】4 hanging sections and 8 storage cubes offer you extra space for heavy outfits, folded clothes and belongings. 【STRONG & STURDY DESIGN】 Each cube supports up to 22 lbs.Our wardrobes are made of high quality resin composite materials and steel tubes. Weight-bearing panels provided for all hanging areas in the closet. 【ELEGANT & SMART DESIGN】We made our closets with a sophisticated look and texture so that they can gracefully fit into your house. Measures in at 58”(W) x19”(D) x73”(H), suitable for dorms, apartments, garage and walk-in closets. 【SIMPLE & QUICK ASSEMBLY】Tool-Free assembly in a brief time with detailed installation manual and video from KOUSI. 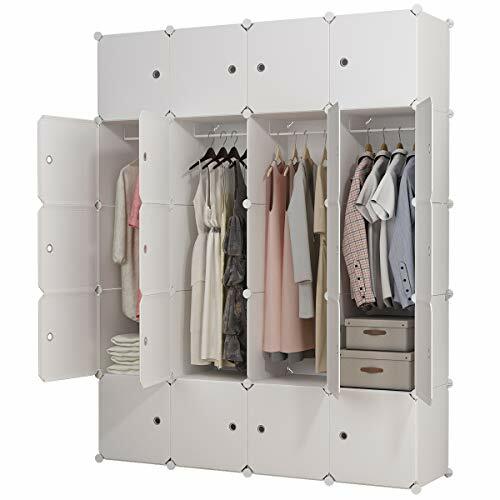 81 panels，60 connectors and 4 hanging rails can be made into as a single portable wardrobe or any single storage unit you prefer. This stylish wardrobe is good looking as much is functional. The wardrobe has become the center of attraction in many homes, offices and even. It has many areas of application mainly because of its DIY function. There several designs that can come out of it. It is very light and easy to just fold and go. If you have to moves houses or go on holiday it’s just a matter of disassembling and off you go. Though it is light enough to carry around, the wardrobe is very strong and it can withstand up to 10 times its weight. Its not only for homes but people who are constantly on the move. This storage organizer is very easy to assemble so it requires no experience or tool. The material is carefully selected to make the item more durable. 100% eco-friendly resin plastic panel, flexible and durable. Supported by ABS connectors and steel frame. LARGE CAPACITY:Each cube supports to 10 lbs.Measure in 14″(W) x 18″(D) x 14″(H).Build your own combinations for any space. 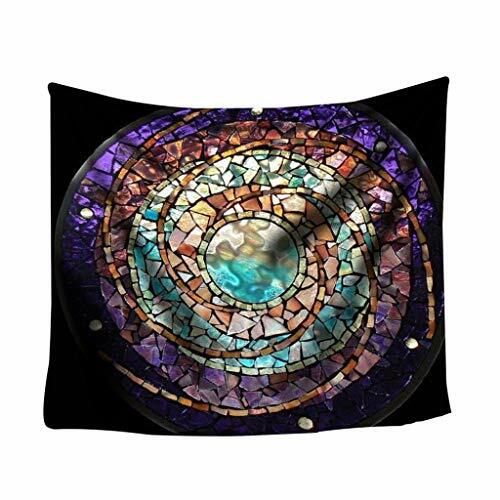 Your imagination and our DIY product changes living style. CREATIVE DIY DESIGN:Cubes can be stacked or used separately. DIY under the parts packaged to fit your room. MULTI-FUNCTION:Hanging or folded clothes, Deeper cubes can store up to 16-20 shirts each. storage of books, toys, fabric drawers and other miscellaneous household items. 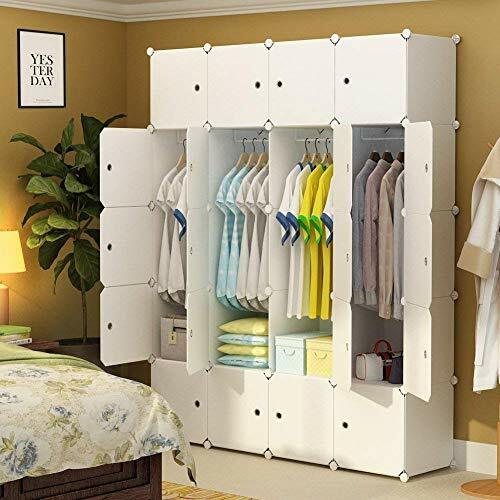 Light weight wardrobe also prefect for kids’ storage. EASY MAINTENANCE:Waterproofed and dust-resistant. Doors feature a hole handles for air circulation preventing buildup odor. EASY ASSEMBLY:Easy and Simple instructions in the packing make assembly effortless and disassembly easy.